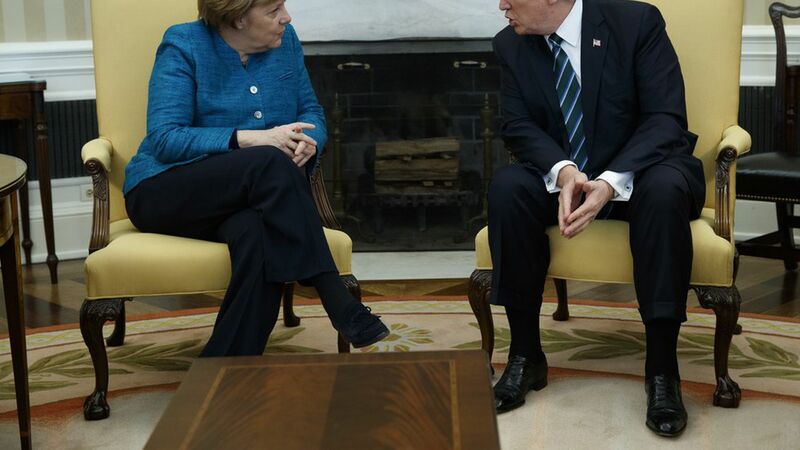 President Trump pushed German Chancellor Angela Merkel very hard on the subject of NATO during their closed doors meeting today, according to two sources with direct knowledge of the events. Trump said Germany has accumulated an immense lack of investment over many years, according to one of our sources, telling Merkel the U.S. feels taken advantage of for spending so much on defense while its allies have benefited without their own degrees of contribution. Germany only spends 1.19% of its GDP on defense, far below NATO's 2% requirement. The U.S., meanwhile, spends 3.61% of GDP on its military.